Welcome to the definitive guide of what you and your family can do for free in Madrid… in English! Read on to find out about tours, galleries and others. Welcome to the definitive guide of what you and your family can do for free in Madrid… in English! Read on to find out about tours, galleries, children’s shows, parks and animals, lots of animals and other free plans. Several tour operators offer free walking tours of Madrid city centre in English, where families can pay a donation afterwards if they wish. Sandemans New Europe offer a daily tour of the city which usually starts at Plaza Mayor and goes past the main points of interest before ending at Plaza de Isabel II (Metro Opera). It can last anything between 2 and 5 hours depending on the characteristics of the group. Usually when small children come along to these tours the visit is tailored to suit their needs. 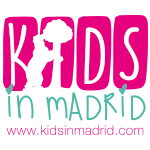 Check out their Madrid-specific Facebook page here and if you plan to take your kids, let them know in advance. Children are also welcome on the Free Tour of Madrid, which sets off from Plaza Mayor every morning at 11am. When booking through the website, please do not add the number of children you are taking with you on the tour as only adults count. However do drop them a line via Facebook to let them know that you are bringing children with you. Centro Centro (Plaza de Cibeles 1, 28014 Madrid, Metro Banco de España) : free entry except for the viewing terrace (observation deck) which is currently closed for reconstruction (July 2018 onwards). It usually costs 2 euros to enter the terrace and tickets are limited. So why should you visit Centro Centro with kids? Because you never know what to expect! This arts centre is passionate about new technologies and use them to transmit content and knowledge in an attractive, didactic way. CentroCentro prides itself in encouraging participation from artists, curators and members of the public alike. Check out the permanent and temporary exhibitions here before visiting. There is always something of particular interest to children. The atmosphere is relaxed and welcoming. The same can be said about ESPACIO FUNDACION TELEFONICA (Calle Fuencarral 3, 28004, Metro Gran Via) which also offers a special route for children accompanied by adults. Download the app in English for a multimedia guide of the latest exhibitions and workshops available there. Another surprisingly interesting art gallery for families with young children is Sala Alcala 31 (calle Alcala 31, 28014, Metro Banco de España). This vast diaphanous space right in the city centre is run by the local town hall and is dedicated to the visual arts. Every time Kids in Madrid has popped into this gallery with children we have been pleasantly surprised by the exhibitions and young people’s reactions to what they are looking at. Children are welcome and there is good storage for buggies and bags, etc. Of course, you can also visit the more famous art galleries like the Prado and the Reina Sofia whose permanent collections are free to visit in the afternoons and on Sunday mornings (Reina Sofia) or afternoons (Prado). You cannot go wrong by visiting The Retiro Park come rain or shine, summer or winter. It is full of attractions, landscaped gardens, swing parks, sand pits, a boating lake, icecream stalls and water features galore. Rollerskates, bicycles, balls and picnics are all welcome. Despite being the most popular park in the city centre, it is still possible to find peace and quiet in these stunning grounds where time seems to come to a halt. A top hit with younger kids, especially during the summer months, is the river project aptly named Madrid Rio which has a “beach” area with splash pads that never fail to delight. For 6km this park follows the course of the river Manzanares and goes past excellent child-friendly tourist sites such as the former abattoir, the Matadero, which has been converted into a cultural centre for with something to see for one and all. If you are planning on visiting the Sabatini Gardens, why not try to catch the changing of the guards at the Royal Palace which happens every Wednesday and Saturday at 11am as well? If you are lucky enough to be in Madrid the first Wednesday of any month except for July, August, September and January, and you get there with plenty of time, you may be able to see the magnificent full parade which is at 12pm and lasts 50 minutes. If you are feeling adventurous and fancy discovering the parks that more madrileños than tourists visit, perhaps you could try a combined visit of the Capricho and Juan Carlos I parks. As mentioned in a previous article the Capricho is one of the most beautiful parks of the city and has the most shade. Don’t despair about its strict rules of no balls or picnic hampers because a stone’s throw away is the vast Juan Carlos I park with its long swathes of grass, its picnic tables, its climbing frames and splash pads. Furthermore there are plenty of places to buy snacks and ice creams as you amble around. You can even hire a bicycle (with children’s seat) to see the whole of the park on wheels. It is only a five minute walk from the Capricho to the Avda.de Logroño entrance of Juan Carlos I park. Kids in Madrid suggest starting your day at the El Capricho station (Metro line 5) and ending at Feria de Madrid (Metro line 8) station. The distance you will walk is less than 4km, with plenty to see on the way! On Saturdays and Sundays there are free shows at the open air puppet theatre in the Retiro Park (the closest entrance is from the Plaza de la Independencia (Puerta de Alcalá). These shows are performed at different times of the day depending on the month. From January to March and from October to December at 12.30pm. From April to June and September at 6.30pm. In July they run at 7.30pm except for when the annual Titirilandia Festival runs, during which even more puppet shows with varying timetables entertain young park goers for six weeks over July and August. Nearby at the boating lake there is always family friendly street theatre taking place, with musicians, clowns and acrobats vying for the public’s attention. For those children with a smattering of Spanish or those who are brave enough to go along without any Spanish whatsoever, there is nothing better than going to a storytelling session at any one of the public libraries across the city centre. Click here for a list of times and locations. These storytelling sessions are carried out by professional actors who often come in costume and interact with the children in the group, using the original story as a backdrop to a truly entertaining show which can leave storytelling purists like I perplexed as they deviate so far from the plot that it often ends up being a brand new tale! Believe it or not, but one of Madrid’s most popular free attraction is situated inside one of the capital city’s biggest and busiest train stations! Wander through to the back of Atocha station and you will find a tropical garden where hundreds of terrapins and tiny turtles laze around and pose for photos. Children never bore of visiting this quiet, tropical corner of Atocha station. In the Parque de Oeste there is a rather stunning Egyptian temple which was donated to the city of Madrid in recognition of the hard work carried out by Spanish engineers during the Aswan dam project. This temple is home to wild parrots that delight tourists with their antics and keep the pigeons at bay. The best time to visit the Templo de Debod is early evening to catch the sunset over the esplanade and to find the parrots noisily roosting. Children love searching for the peacocks which roam the stunning Campo del Moro park situated behind the Royal Palace, next to Principe Pio metro station. Who wouldn’t?